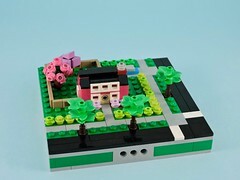 The Lego Ideas (formerly Cuusoo) site has been producing some fantastic sets in the last couple of years, but many of them have been based on licensed properties that don’t interest me very much. 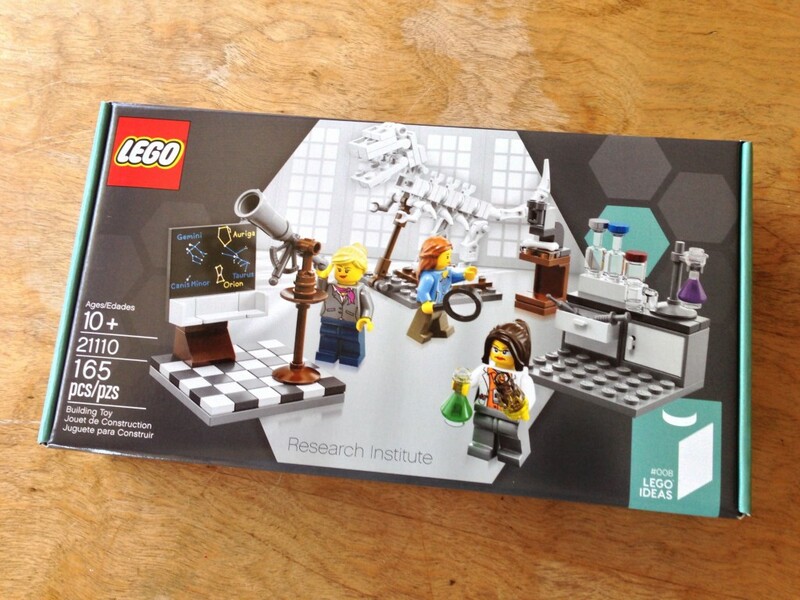 This latest set, the Research Institute, garnered its support around the desire to see more female minifigs scientists. As my interest in minifigs has been growing, I bought a copy to check it out. The Instruction book is awfully thick, considering the set has less than 200 pieces (165 to be exact). A brief glance inside shows that nearly half the book is taken up with extra content in a variety of languages. It opens with an introduction from Alatariel (Ellen Kooijman), whose Ideas project the set is based on, explaining her goals with the set. 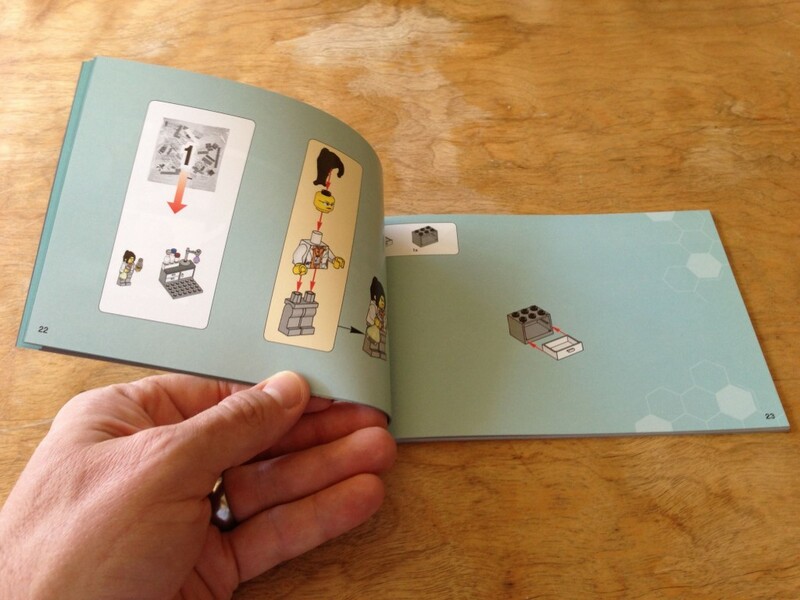 After that is a page describing each of the scientific professions depicted in the set and information about Lego Ideas. The instructions themselves are fairly standard, with minor decorations along the science theme. With my son’s help, I got to building. 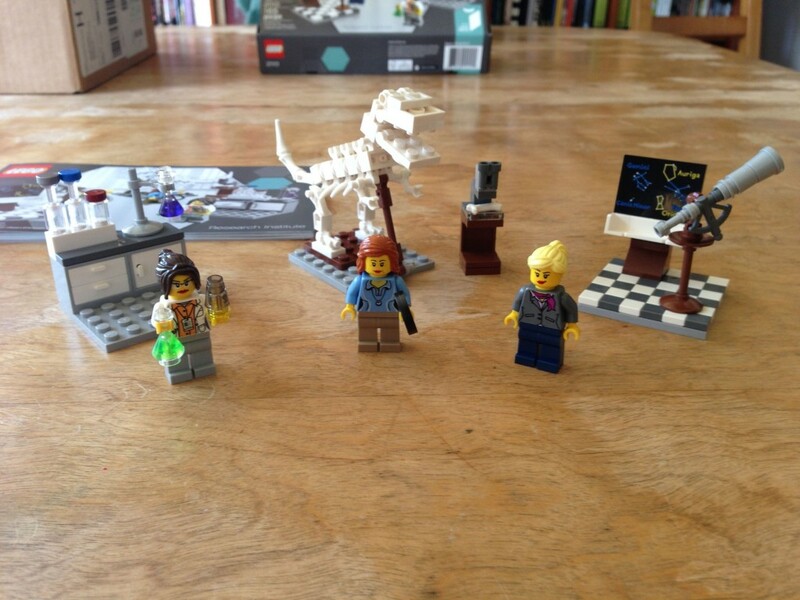 The first vignette is a scientist working in her lab. Drawers and cabinets are full of equipment and the majority of the minifig accessories in the set. I didn’t have many of these parts, so getting flasks in two different colors was fun (the purple flask is only in one other set). 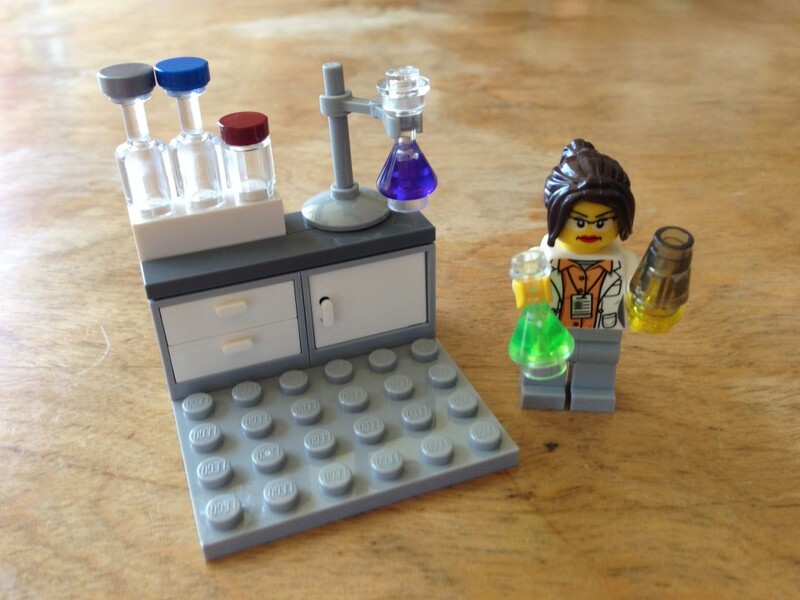 The chemist herself is a nice minifig with a unique torso (printed front and back). 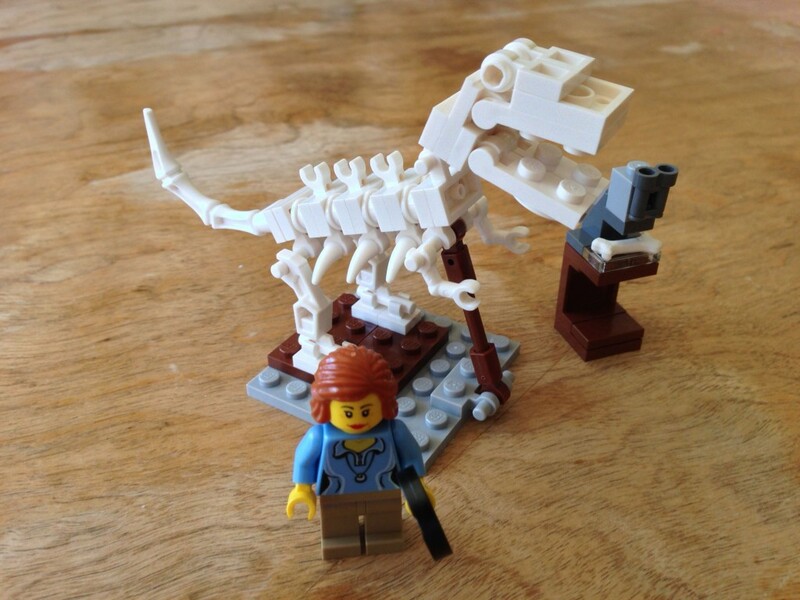 The paleontologist is a bit more complex of a build, with a detailed dinosaur skeleton. 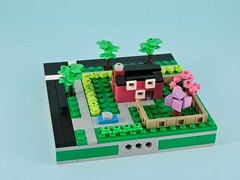 A cool little model with lots of character. It is interesting to note that the 1×1 tile with clip and rounded edges is introduced here in white for the first time. I’d never seen this element before. 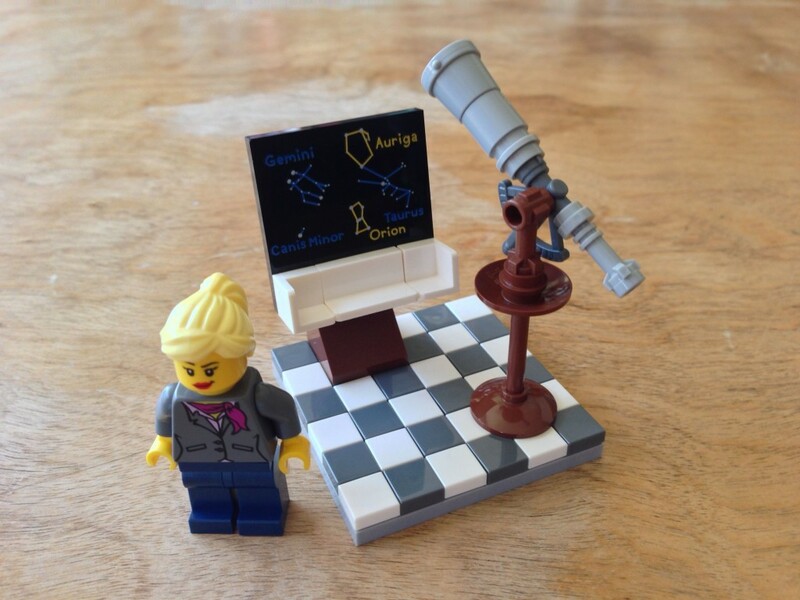 The final build is the astronomer and her telescope. This piece took longer to put together than expected, thanks to a checkerboard floor composed to white and dark grey 1×1 tiles. I fussed for a while, making sure that they were all straight. The blackboard covered with constellations is a printed element that should find its way into MOCs in the future. 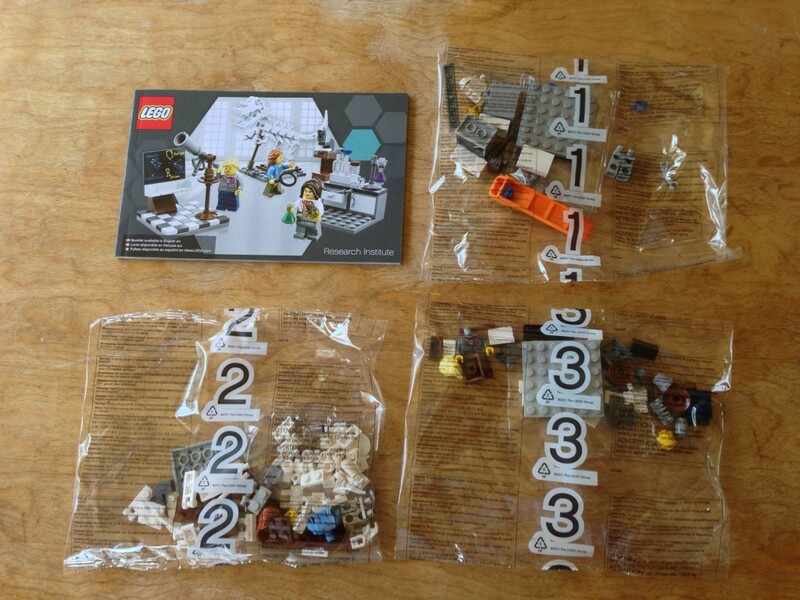 I really appreciate the lack of stickers in this set, as I generally dislike them. The extra elements include a syringe and a white nozzle (that always just looks like a pistol to me) and a selection of other small pieces. 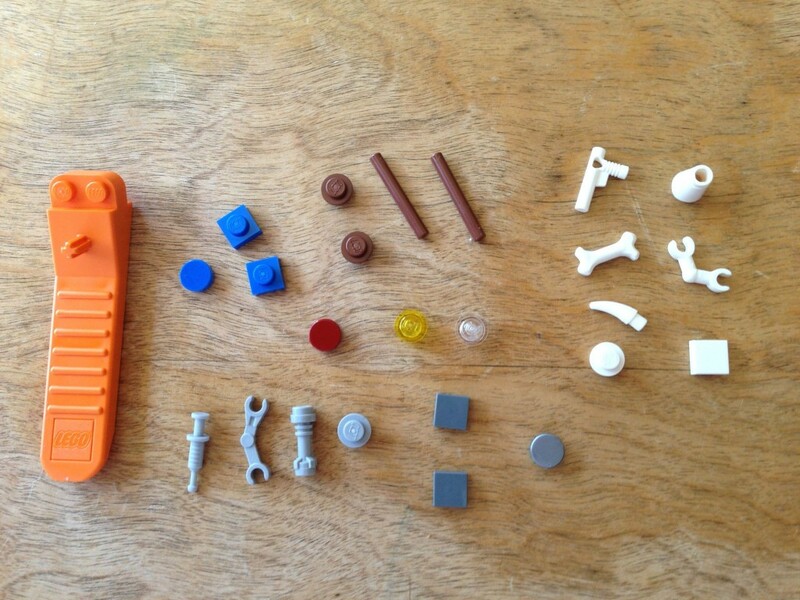 There was also a brick separator, which I assume is a standard feature for Ideas sets. The completed set is a fine ensemble. All three of the scientists feature unique torsos and give good portrayals of female scientists. The vignettes would make nice displays together or separately, adding to the appeal of an otherwise small set. This is a great little set! I recommend that if you have any interest in minifigs, you pick up a copy now, as they are already starting to disappear from shelves. Keep building!